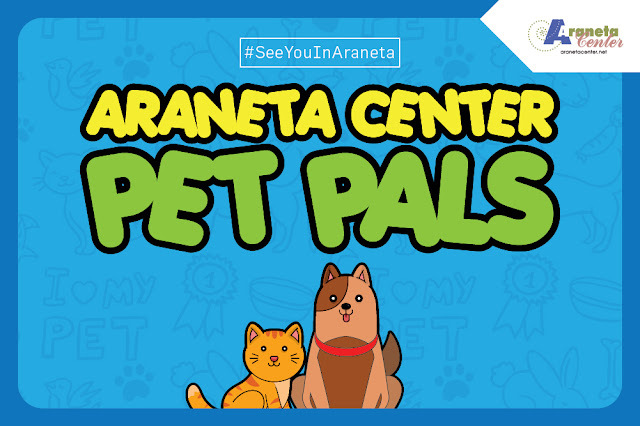 Already considered as the premium live-work-play community in the country, Araneta Center opens its doors to the cutest members of your families—your pets—as it officially becomes a pet-friendly destination. Araneta Center will be celebrating the paw-sitive development when it launches its Pet Pals program with a pet soiree on Sunday, May 27, at the Gateway Mall Activity Area. Pet owners and their fur babies will be treated to an afternoon of bonding and talks on taking care of pets despite the owners’ busy schedules and on first aid for pets facilitated by experts Jester Jo Onchuan and Dr. Flori-Ann Buiser. A handful of cute freebies—including leashes for the early birds—will also be given to the attendees and their pets. The Quezon City Hall Animal Care and Disease Control Division will also administer free rabies vaccination. Binibining Pilipinas Supranational Jehza Huelar and Binibining Pilipinas Grand International Eva Patalinjug will also join in the fun and share their fun stories about their own pets. Now that it is pet-friendly, Araneta Center will start allowing owners to bring their pets to the Gateway Mall, Ali Mall, Farmers Plaza and other parts of the Center, provided that they have secured the Pet Pals ID. Owners who want to apply for the Pet Pals ID only have to submit the following requirements to the malls’ concierges: original and photocopy of rabies vaccination record, 1x1 colored photos, and Pet Pals ID application form, which is also downloadable on www.aranetacenter.net. The ID will be given for free. The temporary Pet Pals Day Pass IDs will also be available to those who have yet to complete the requirements. Even after they have secured their Pet Pals ID, pet owners still have to be responsible in bringing their pets around the Center by keeping them on a leash while they are walking, carrying them while riding escalators and elevators and cleaning after their wastes. For other guidelines on this initiative, visit Araneta Center’s website and follow it on its social media pages: @AranetaCenter on Facebook and Twitter and @TheAranetaCenter on Instagram. CAPTION: Binibining Pilipinas Supranational Jehza Huelar, a dog lover, will grace Araneta Center's Pet Pals launch on Sunday, May 27, at the Gateway Mall Activity Area.